The SEADRILL2000A is a drilling machine which has versatility as its strongest feature. Excellent in hand drilling also on reinforced concrete with core bits with M16 fitting through its adapter. 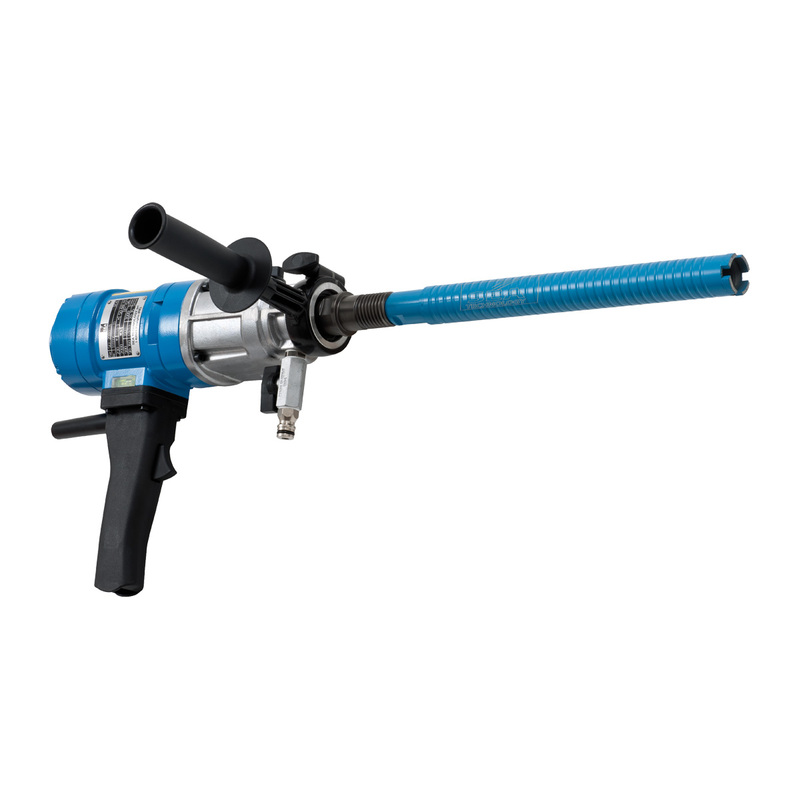 It’s also a powerful wet drilling machine thanks to ½ gas and 1”1/4 fittings and prepared for column assembling. Its real strength feature is in any case the wet drilling with small diameters, thanks to a high number of rotations which it can reach (2520). By mounting its suction kit, it’s also allowed the use of the CORONA DUE 300. 3 mechanically selectable motor speeds.